We all need some organization to survive our crazy SLP lives! ) I know I do. Honestly, it's really not a strength of mine, so I need all the tips I can get! am joining the Frenzied SLPs this week in sharing our favorite organization tips. 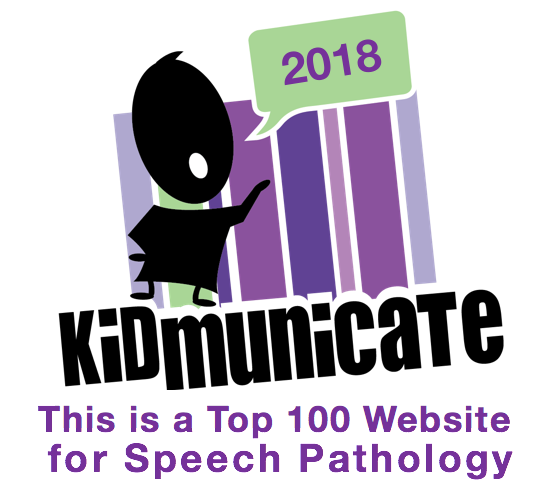 Kelly at Speech2U is hosting for us this week. 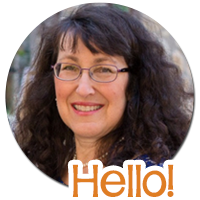 If you need some great new ideas to start your year right, head over to her lively blog and check it out, then be sure to hop through the linky for more awesome ideas. So here is reality for me by the end of the day. Maybe you can relate? There is so little time during our day to put things up and organize. Maybe not so much. Organization kind of takes a back seat. Still, there are some things I have put in place that really work for me. These have really saved me with my preschool groups. I have a bin for each phoneme. I keep books, manipulatives, games, handouts and craft templates in each one. If the book or game is too large for it, I have a list in there of what to grab off the shelf. It really works for me! 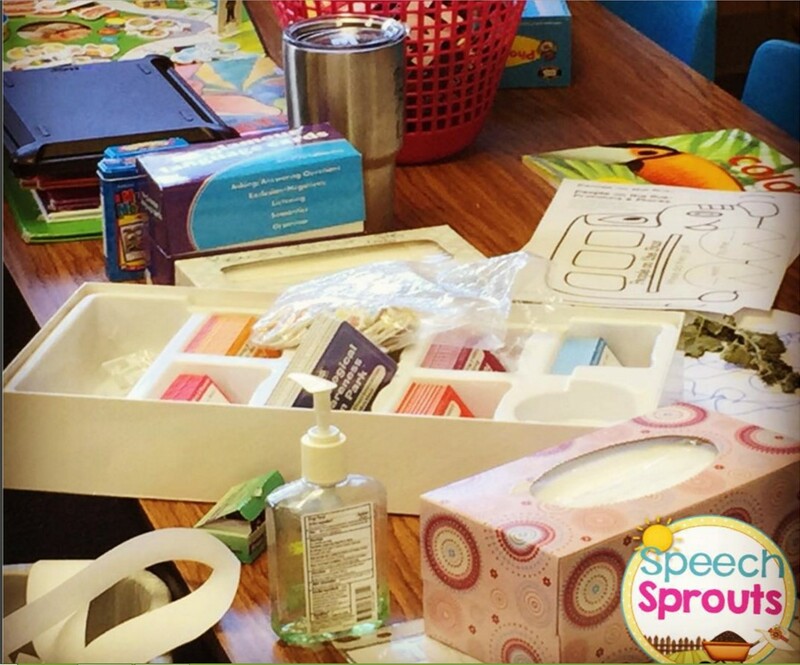 Read more about this here: How to Organize for Grab and Go Articulation Therapy. Organizing files and work due. Okay, these are not fancy, but it works for me to stage my paperwork! I labeled and laminated construction paper dividers to be a bit taller than my file folders. Then I put the files in each section as needed. I order the files by date due, so the first file in "to eval" will be the first one due. I can see at a glance what needs to be done, and pull the student's file to get to work on it. Files that don't need anything currently go in the back: "student files". 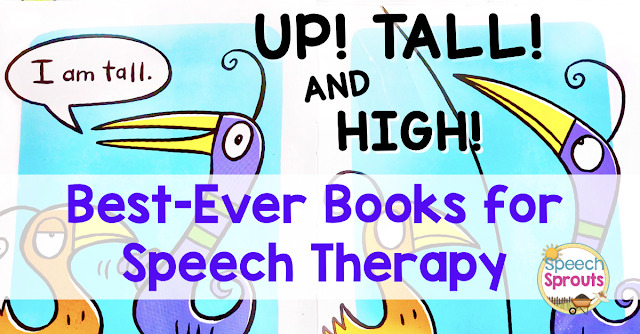 You know I love literature-based speech therapy, and I have collected a lot of books over the years. Alphabetizing them by title works great to help me find them. I have construction paper dividers to help me locate a section, then all the books beginning with that letter go there. Even nicer would be labeled paint stick dividers- the extra long ones. I just haven't collected enough of those yet.... may I have 26 paint sticks please? I don't worry about alphabetizing the books within each letter section- my collection isn't large enough to make that necessary. Besides, that might be going a bit overboard for me... I have my easy-going vibe to maintain. For more great posts and ideas, check out The Frenzied SLPs on Facebook. Wow, you are super organized! Great tips. I use those dividers in my filing cabinet too, I just use file folders turned sideways. It was likely out of necessity as I don't have any hanging file folders in my cabinets! I love the artic grab and go bins! Genius!! 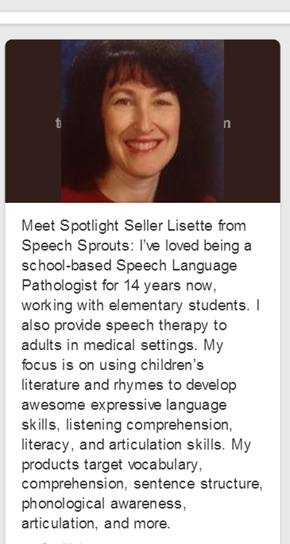 Love your phoneme bins Lisette! Can't wait to read all these tips. I think that spontaneous/creative and organized when needed are a great combo! I love how your bins look! Organization is for making life easier! Go to Lowes & ask for some paint stirrers. I did that a couple of years ago and the guy gave me about 20! I love your articulation bins. I am going to need to try that out! Those file dividers crack me up, Lisette! It is often the simple things that work the best. Thank you so much for sharing your ideas. I'm going to be creating some articulation bins this summer for sure. Having a Frenzied week? Try this Easy Meal.